We’ve got a special review today from guest contributor, Todd Jepperson. He was kind enough to review the new book, Anomaly: The Rubicon from Skip Brittenham and Brian Haberlin and released by Anomaly Publishing. 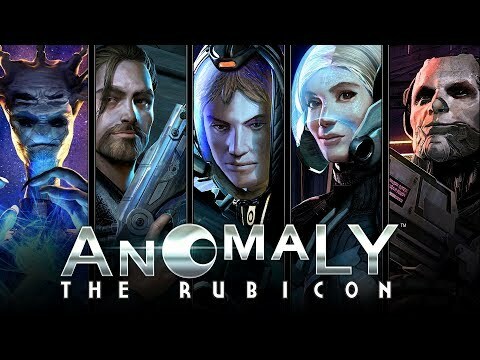 Anomaly: the Rubicon is the second release in the Anomaly series by creators Skip Brittenham and Brian Haberlin that follows Jon, a lost and presumed dead sort-of ex-soldier, languishing away on the planet Anomaly in the year 2718. With the support of his group of semi-human friends, Jon still fights against the might of the Conglomerate, the imperial dominating force in the Universe. Working against Jon are several creatures that would give even the greatest adventurer a difficult time. First is the Clik Queen, or bug queen, Teyriant. She is convinced that Jon has committed a great infanticide of her people, and won’t stop until she has her revenge. Next is Quin, a cybernetically enhanced merc hired by the Conglomerate to find Jon and bring him in. Lastly, the chairman of the Conglomerate himself has a personal interest in silencing Jon and the uprising he’s a part of. Each time Jon catches a break, one of these three catches up to him. It’s hard being the face of the resistance. You would think that the story alone would be enough to carry this title deep into the hearts and minds of its readers, but the creators didn’t stop there. What they’ve created is a fitting follow up to their groundbreaking and revolutionary first publication: Anomaly, released in 2012, was the longest original full-color graphic novel ever created. With the release of Anomaly: the Rubicon, Skip and Brian have pushed the envelope even further. Familiar to readers of the first novel will be the glossy 15” X 10” widescreen format and the gritty, hyper-realistic art that pushed sales into the hundreds of thousands. 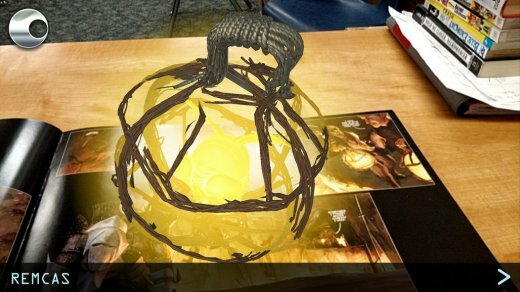 Also back for the second release is the immersive AR (augmented reality) component which brings the world of Anomaly to life in the physical reality through the free companion app. However, new will be the free content released in the months following the publication date. That’s right. Anomaly productions has committed to continuing to release content after the book is released. Think about it like DLC that you don’t have to pay for, with additional story and behind the scenes insights that will expand the experience of the book long after you finish reading it. 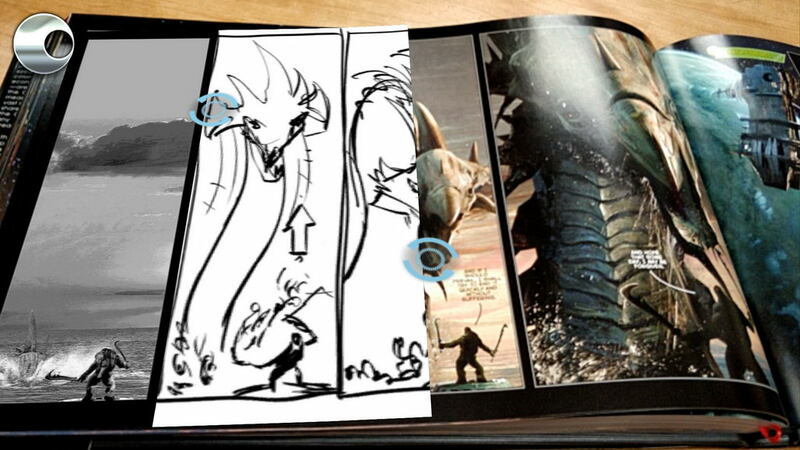 The AR component of the book is extremely well done and highly interactive. Using the app, you can click on the remca on page 17 to cause it to glow and pulse with light, exactly like Jon’s friend-slash-guide Tonni explains just two pages before. Take a closer look at Teyriant on page 27 and click to hear her click and snarl. Get a behind the scenes look at the art process on page 252. 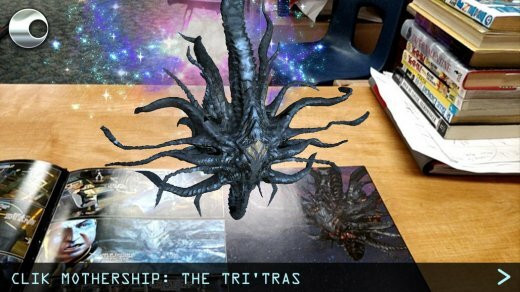 But if you really want to see something cool, turn to page 5 and watch the Clik mothership, Tri’Tras, warp in from across the universe. Seriously, this is cool. 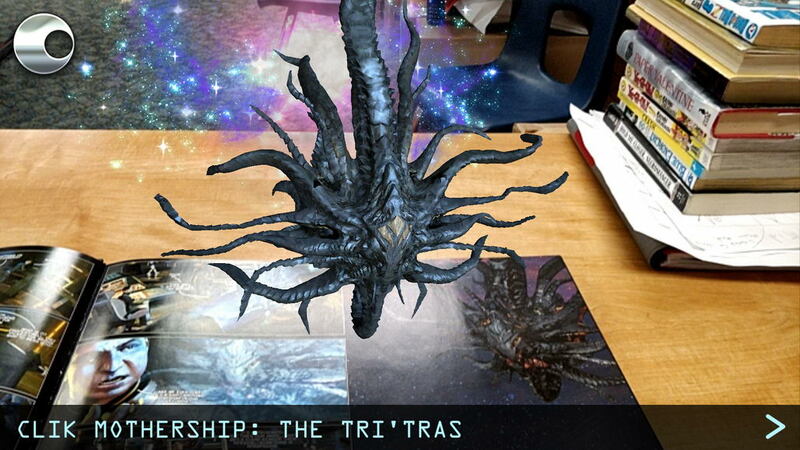 The one buggy aspect of the AR is that it can sometimes be difficult to capture the whole of the effect. This is because of two major reasons: first, once the page slips from the camera’s sight more than a little, the whole thing disappears immediately, and the second thing is that the glossy pages can sometimes catch a bright reflection that washes out the page you’re trying to see which blocks the AR completely. If the AR wasn’t so well done, this wouldn’t be a big deal. Hopefully a quick fix will be released for the app so that the reader can manipulate the position of the AR with a swipe or pinch. For the glare, all that the reader needs to do is angle the book away from bright light sources. What you really get from Anomaly: the Rubicon is three separate experiences. The first and most obvious is the Mass Effect meets Gears of War story line of Jon and his friends. The second experience is the wonderfully rendered and interactive AR. Last, but certainly not least, is the post-production content updates that will keep this title relevant and intriguing for weeks and months to come. Blasting in for as low as $31, grab your copy of Anomaly: the Rubicon today at Amazon, Barnes&Noble, or wherever comic books and graphic novels are sold. You won’t regret it.